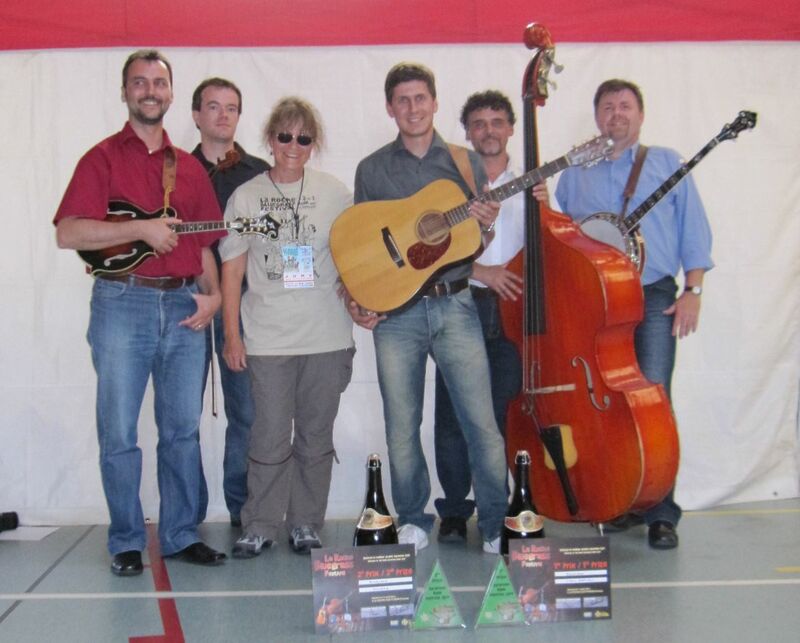 After a great summer with the Craponne Country Rendez-Vous (Rhonda Vincent & the Rage, Kathy Kallick Band) and a successful La Roche Bluegrass Festival (congratulations to contest winners Blackjack), France is winding down towards winter. There have been some excellent workshops over the summer with the La Roche Bluegrass Camp, Bluegrass Nature (run by the musicians of Banjomaniacs), Bill Keith's banjo workshop at La Tannerie (Bourg en Bresse). 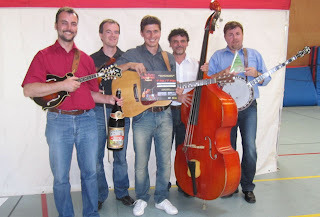 Also the local associations have been busy with their 'weekend at home' bluegrass jams, with one in Alsace (August) and one in the south-west (September). 10-13 Nov. FBMA's annual Winter Bluegrass Weekend at Vichy. Mainly a weekend of jamming in and around the main Omnisports centre with accommodation on site and, hopefully, a big-name band for the Saturday evening concert. Friends of the family are invited to pay their respects to Liz on Thursday 1 September. The service will be held at 3.00 p.m. at crematorium Bouwens, Noorddammerweg 40 in Uithoorn and followed by a reception at De Oude Veiling, Marktstraat 19 in Aalsmeer. The locations are near one another in the southern suburbs of Amsterdam. It is with great sadness that we hear about the death of Liz Meyer after a long and brave fight with illness. 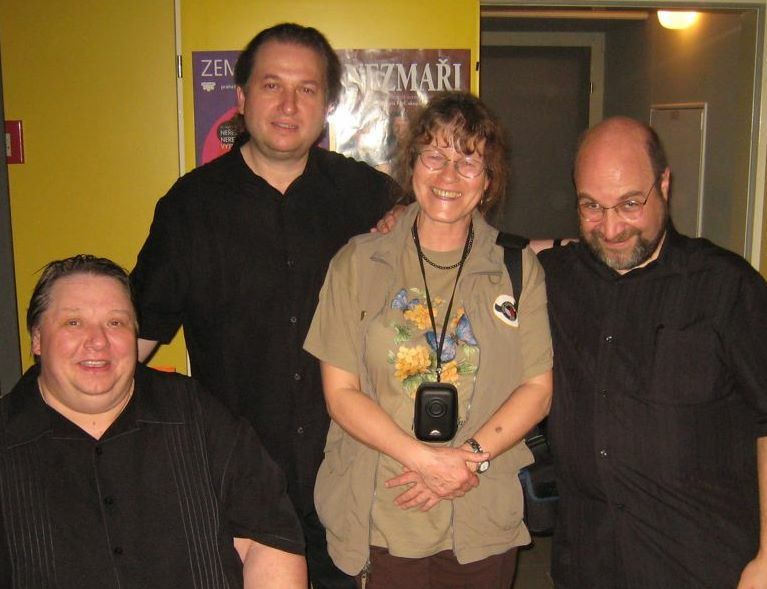 Liz was one of a small group of American Bluegrass lovers who dedicated a great deal of time to promoting the music she loved in Europe. She did this not only by playing and recording on the old continent but she went even further by setting up her home here and by becoming a driving force in helping the growth of Bluegrass music across the whole of Europe. 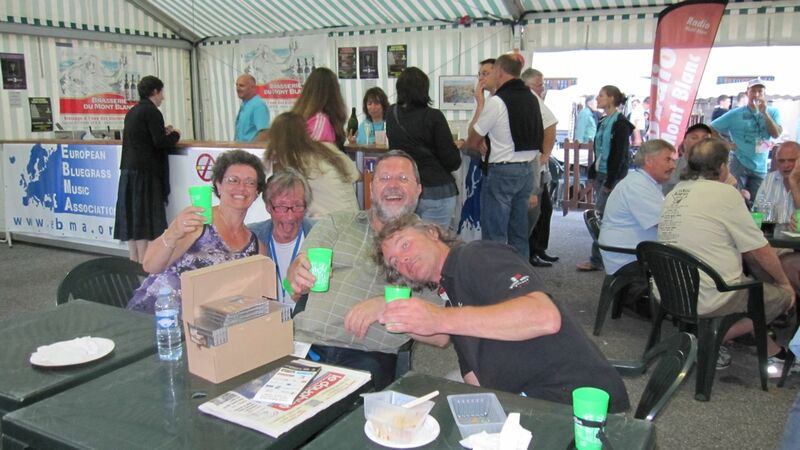 The EWOB festival in Voorthuizen has become a major event on the international Bluegrass calendar and many musicians and bands in Europe owe their current success to her efforts. "Dear all, again the Board of the EWOB-festival Voorthuizen has been struck in the heart. Friday night, Liz Meyer, driving force behind EWOB-Voorthuizen, has lost her struggle that she fought the last couple of years. Even her great and exceptional mental strength was not enough to defend her body. Liz will be greatly missed not only by her natural family, but of course also by her bluegrass family. 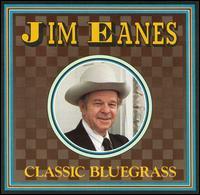 European Bluegrass has lost one of its best ambassadors. 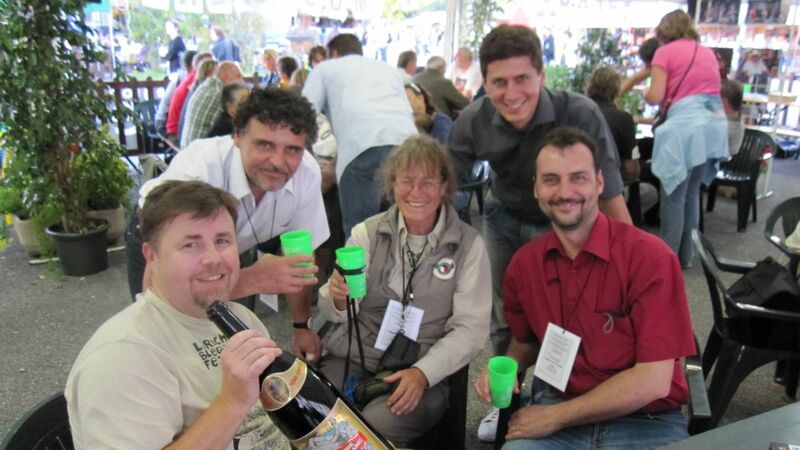 Liz will be sadly missed by the whole Bluegrass community on both sides of the Atlantic and our thoughts are with her husband Pieter Groenveld at this sad time. This is an invitation to send in gig dates for the Bluegrass Concert & Festival Calendar in the next issue of our magazine Bluegrass Europe. However, please send us your dates again for the October/November/December issue (#81). 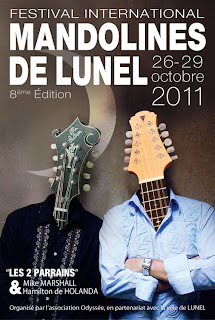 We will try to publish all dates between 15 October 2011 through 31 January 2012. We also have space available for advertisements; the rates are fair (we think). Please have a look at the data sheet and contact us here for more information. And please check out EBMA's website - we have many things bands could be interested in. For example, if you are an active member of EBMA, you are entitled to a free listing in every issue of Bluegrass Europe in EBMA's Bluegrass Guide, and the same goes for the respective section on our homepage. Next weekend we'll have the 7nd annual Picnic Festival on the beautiful Citadelle de Namur. 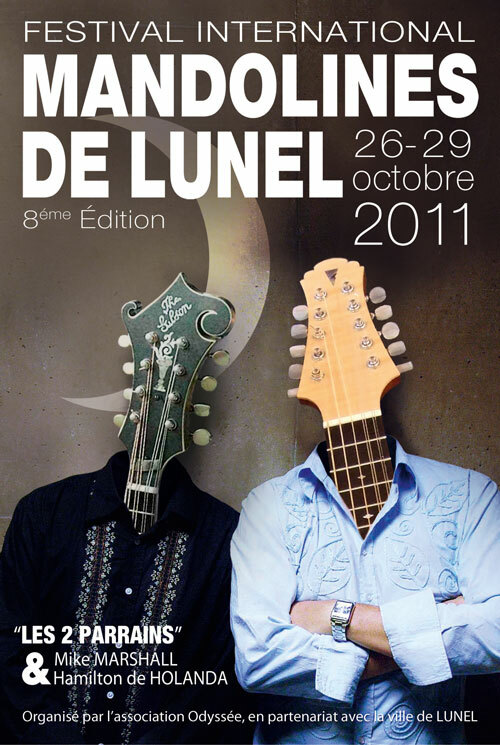 The only bluegrass festival in Belgium ! All details (including links to band websites and the programme for the 'Celtic' section of the Festival, 2 and 4 Sept.) are on the Festival website. The Festival is also on Facebook. 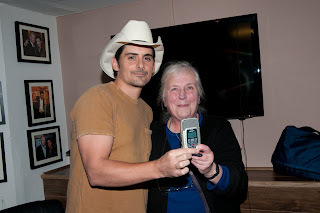 The award honours radio broadcasters outside the USA who have made outstanding contributions toward the development of country music in their country. 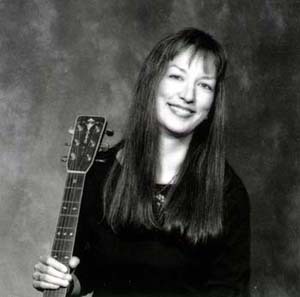 Sandy has worked in and around the music business in Ireland in many roles (including chief photographer, record reviewer, and interviewer for Hot Press magazine), has broadcast since 1989, and has presented 'Country Time' since 1996, playing, in her own words, 'bluegrass, old-time string-band music, Cajun, roots country, Western swing... honky-tonk, cowboy songs, hillbilly, Bakersfield, rockabilly – in fact everything from Americana to zydeco'. There’s a new, recently released CD that includes an amazing list of truly legendary performers. The album has been in production for over four years as a project for the benefit of my favorite charity, Amazing Grace Adoptions. Over the years my wife and I have adopted four kids from Russia and half of the proceeds from the CD sales will go to their orphanage in Saratov, Russia! It has taken so long to finish this project it seems to have become more of a quest than a project! Plus, as some of you might already know, I’ve had a heart trouble recently which has been expertly corrected by the great folks at the University of North Carolina Hospitals with a heart transplant :-)! The good news is that all is good again and the project has finally been finished. 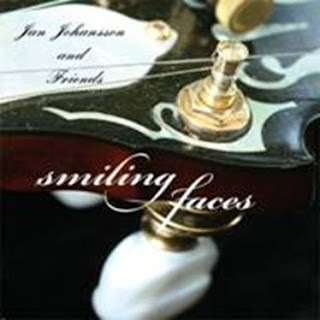 On this CD you will find the late great Charlie Waller and outstanding bluegrass performers Bobby Hicks, David Grisman, Dale Ann Bradley, Russell Moore, Amanda and Kenny Smith, Mike Compton, Larry Sparks, Steve Dilling, Daren Vincent, Laurie Lewis, Julie Elkins, Rick Pardue, Honi Deaton, Wayne Benson, Butch Robbins and... The list just goes on and on. This album is a real masterpiece of talented performers who all donated their much appreciated time to support me and my cause. The CD is easily available from iTunes and Amazon (as .mp3 files). If you’d like a 'real' CD complete with jewel case and liner notes (very worthwhile! ), you can order via PayPal using the PayPal registered e-mail address for $15 including shipping. For international shipping please add $5. Please check in with iTunes or Amazon and sample some of the tunes on this album. I know you’ll be pleased with what you’ll hear and want to order the entire album. Plus you’ll be supporting a really good cause. Thanks for taking the time to read through this and thanks for your support. Thanks to Candace Avery of the International Songwriting Competition (ISC) in Nashville, TN, for a reminder of this year's event, whose sponsors include Lowden Guitars (NI). With the most high-profile judging panel of any music competition in the world, ISC offers songwriters and artists the unprecedented opportunity to have their music heard by iconic recording artists, as well as many major and indie record label presidents, A&R executives, producers, music supervisors, and more. More than $150,000 in cash and prizes will be divided among the 68 winners for the 2011 competition, including an overall Grand Prize of $25,000 (US) cash and $20,000 in prizes. The competition is open to all levels of songwriters, with 22 categories comprising all genres of popular music. More details are on the ISC website, where you can also read the latest ISC press release. Lynne Butler (UK) sends the playlists for her 'Butler's Boudoir Bluegrass' and 'Lynne Butler’s Eurograss' shows (see the EBB's separate 'Radio playlists' post) for this week and next week. 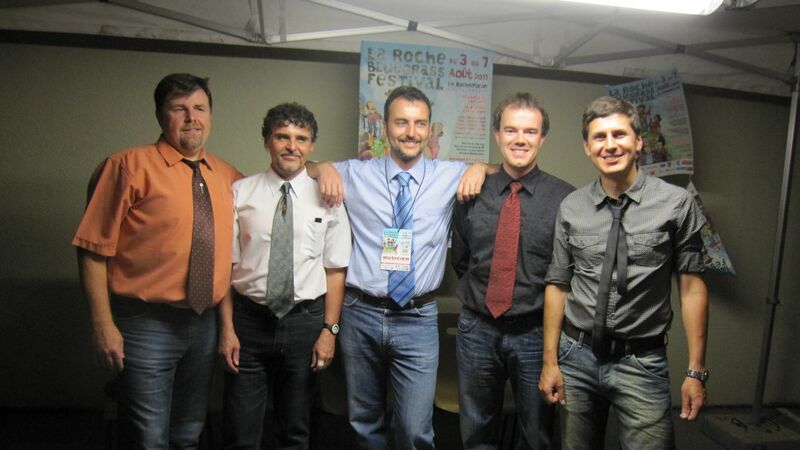 As promised, Lynne has devoted these shows to highlights from the 2011 La Roche Bluegrass Festival in La Roche-sur-Foron, Haute Savoie, France, at the beginning of this month. Random recording of atmosphere and music one evening - just to remind you from last week’s show just how fabby this festival is! Please also note that the Coal Porters (UK/USA) have a show with the Water Tower Bucket Boys (from Portland, OR, USA) at Shepherd's Bush immortal Bush Hall in London this very 25 August 25 (Thursday night). Tickets are £12.50. This is a quick blog by Sid Griffin which ends with the gig info at the bottom. Oliver Waitze of the New Acoustic Gallery (NAG), in Solingen, Germany, sends the NAG's summer newsletter, with details of some of the good things now in stock. 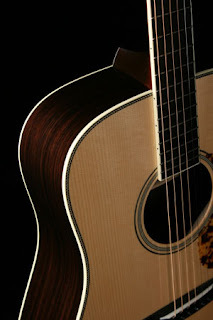 Instruments include a Bourgeois (USA) OM Cutaway Soloist guitar, a Collings CW Indian A Dreadnought (see photo), the Deering Goodtime acoustic/electric banjo, and Eastman mandolins (A and F style), with accessories ranging from pickup systems by K & K Sound to braided leather mandolin straps, both flat and round, in black, gold, or 'bumblebee'. 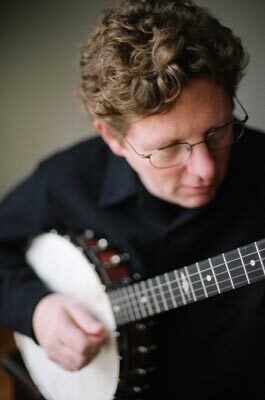 Books include Oliver's own recent publications Bach for flatpicking guitar and Bach for mandolin; CDs and DVDs include new releases by Brian Oberlin, David Grisman, and Don Stiernberg (the latter's Swing 220 is now in the NAG) and Jens Kruger's banjo method for beginners. Full details can be seen on the news page of the NAG website. Not long before the bluegrass event of the year lifts off at Kemble airfield! With another superb lineup and a top-notch show in prospect, there is a real sense of anticipation within the organising team and we are looking forward to helping everybody have a great time at this year’s festival. The final details are being sorted out, and we’ve had our last planning meeting, and just about everything is set, and we’ve placed our call with those above us to order some friendly weather too! Anyway, just to whet your appetite, here’s a few items of late news. Bristol-based luthier Phil Davidson has again sponsored the festival and donated a beautiful mandolin which will be offered as a first prize in the annual raffle. Phil has also been involved in the design of a new range of exclusive banjos produced by the Fairfield Banjo Company, a joint venture between Phil, Leon Hunt, and Johnny Whelan of well known band the Buffalo Gals. Hopefully, there will be a demonstration of this fabulous instrument at the festival. In recognition of Phil’s generosity, the main stage is now called the 'Davidson Stage' and we are all grateful to Phil for his kindness and support. Do call and see his range of instruments in the traders area, he always welcomes folk with a smile! The OGRI stage has been improved with a wider marquee and a bigger stage to improve the spectacle – better PA and stage lights – and provide the bands with a better performing experience. We hope you like the new setup. The programmed concert featuring the Scoville Units and Matthew and the Atlas: this concert is separately ticketed and you can buy tickets on the day. The programme will continue on both stages from Friday lunchtime until Sunday afternoon, with afternoon and evening concerts on both stages. With around thirty-eight bands playing, there will be music for everyone and all tastes! You can check the running order and the band biogs on the bands page of this site. The British Bluegrass Music Association (BBMA) is dedicated to promoting bluegrass music in the UK and is also active in encouraging people to play the music. The BBMA tuition tent will be in attendance and will be running one-to-one lessons on Friday and Saturday afternoons from their base in the traders area. You can book a lesson at the merchandising tent; and as you will see from the lineup of specially selected musicians below, there are some real good teachers at your disposal. Many of them are regular teachers in their home towns or have taught at Sore Fingers Week, so you are in good hands. And if you don’t yet own an instrument, I understand there is a facility to borrow one! I call that a 'win/win' situation; but don’t hang around, we sold out of lessons at Orwell and we were pretty close to selling out here last year! And finally, a few practical notes. The site is open to the public on Wednesday afternoon and the bar will be officially open from Thursday afternoon but may be open earlier. Catering will be open from Thursday night and then throughout. Showers and toilets will be operational from Wednesday and we have also increased the number of chemical disposal tanks for caravaners. Can’t think of anything else; don’t forget your banjos and fiddles, and see you at Kemble. It’s going to be a blast! As you know I had an amazing time at the La Roche Bluegrass Festival in France and you can hear all about it with my ‘highlights’ show which will be aired next week with part 1 and the week after with part 2. It’s a free festival so I recommend that you make a holiday of it and get yourself along to it at the same time. 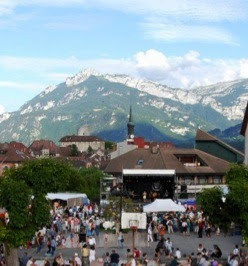 The Alps as a backdrop are wonderful and the atmosphere amazing. Great music, great people, and great fun. It’s now in my diary for next year already. The festivals that I will be at after that are Didmarton and Cornwall - again, regular updates over the weekend followed by a ’highlights’ programme. 'Why would anyone drive two hours one way to meet people they've never met before and to play the same old songs they've played a hundred times over?' - that's what an uninitiated person may ask when told you're going to yet another bluegrass jam. 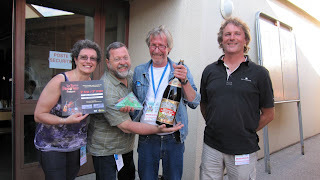 Dieter Stoll of Horse Mountain (D) opens his report on Serge Rieger's 3ème Rassemblement Bluegrass (see the EBB of 3 July 2011) with that question - and the event gave more than one very positive answer. 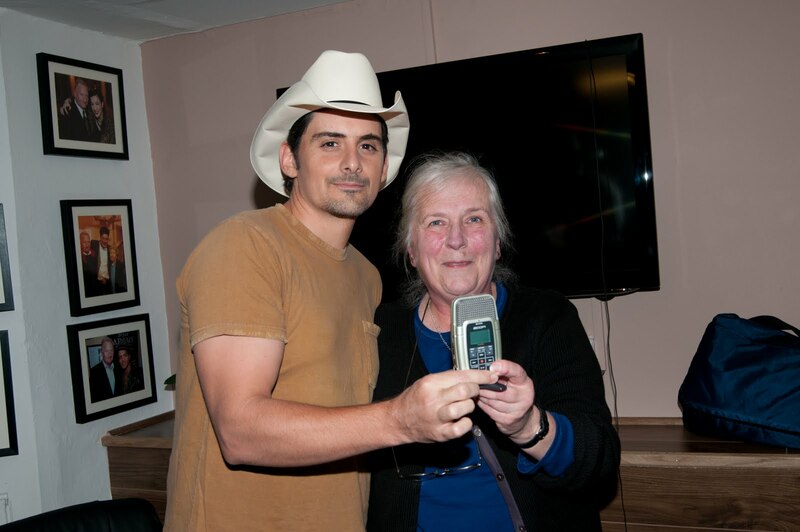 Rene listened to my country radio programs for many years and became a bluegrass freak. 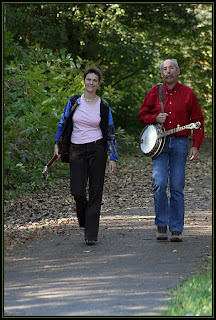 He often works together with bluegrass musicians. Kutzenhausen seems to have a special magic. 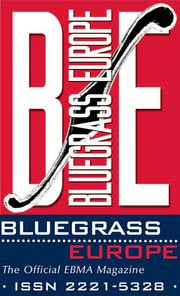 Read both accounts, Dieter's and Walter's, in full in the next issue of Bluegrass Europe, the EBMA's official magazine. 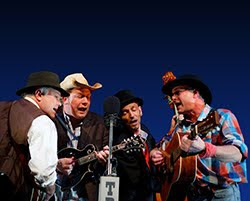 The popular Thunderbridge Bluegrass Boys (UK; above) will be the headline act at next year's Westport Folk and Bluegrass Festival. The sixth Westport Folk and Bluegrass Festival will be held on 29-30 June and 1 July 2012 in the attractive town of Westport, Co. Mayo, in the west of Ireland. Festival organiser Uri Kohen reports that preparations for next year's event are well advanced. 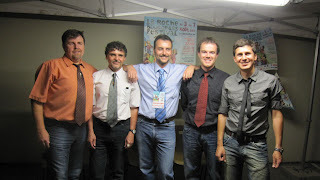 A video of the Thunderbridge Bluegrass Boys can be seen here. 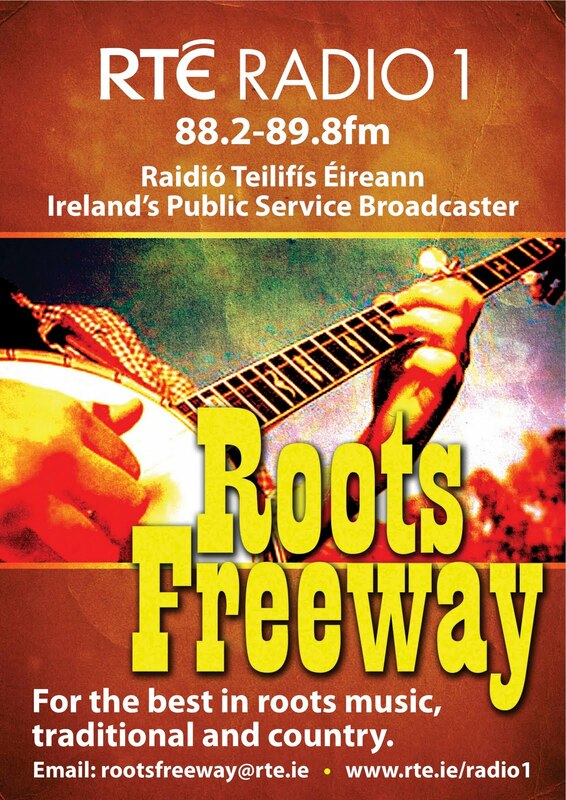 Also on the programme will be the Galway-based Molly Hicks band and other Irish bluegrass performers. More will be revealed over the next few months. 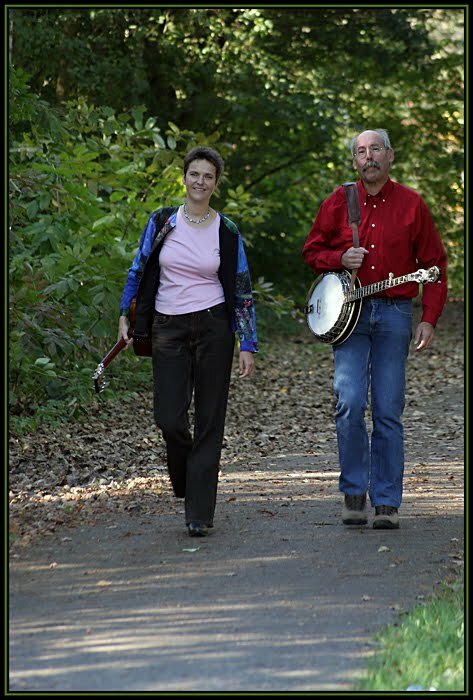 Previous festivals at Westport have featured leading acts from elsewhere in Europe, such as 4 Wheel Drive and the Blue Grass Boogiemen. Bands interested in taking part should contact Uri by e-mail. Niall Toner reports from Ireland that the story behind the creation of his new commemorative song, 'William Smith Monroe', can now be seen on YouTube. The whole thing was filmed, directed, and edited by my thirteen-year-old grandson Kyle, and his eight-year-old brother, Jay (who also played the part of young Monroe/Toner in the final scene). If these boys stick at it, I believe they could have a bright future in the movie business! I have given them a little write-up on my new blog on our website. The sensation is perfect. 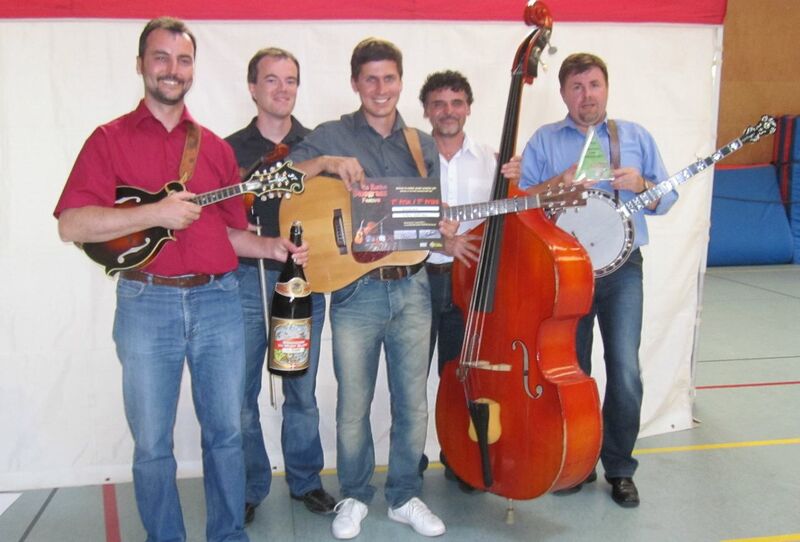 A good friend of mine, Thomm Jutz (photo, left), born and raised in Bühl, Germany, makes it big in Nashville. As a studied musician and guitarist, Thomm was active for years in the blues and rock scene in the south-west of Germany. 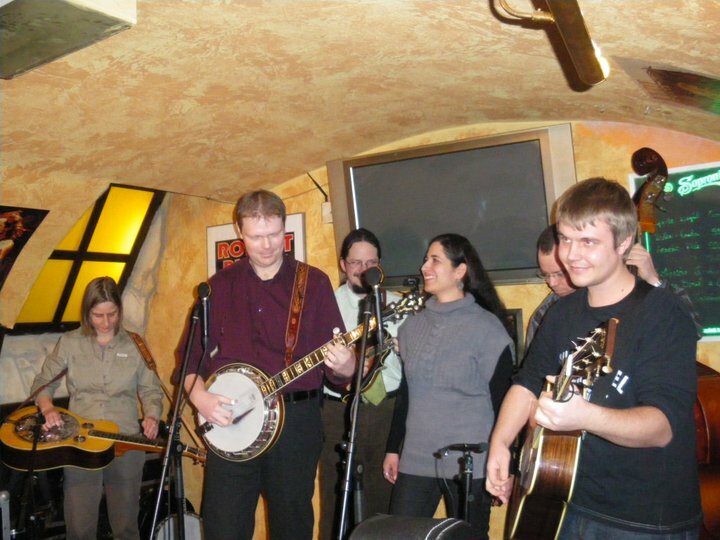 For a couple of years he ran a recording studio near Bühl, then in 2003 he migrated to Nashville. Although he was known as an excellent musician, nobody would have given a dime that Thomm could make it in Music City USA, where year by year thousands of top American musicians are trying to make it big. 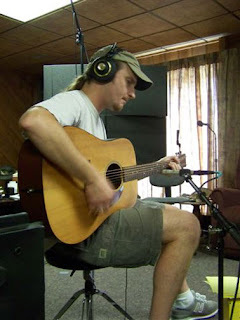 Thomm built up his own recording studio, TJ Tunes Studio, near Nashville and became a member of the Nanci Griffith Band. Beside his own albums he recorded CDs of well known stars and now, in 2011, it seems he really made it with an album he dedicated to the civil war (1861-5), the sesquicentennial, the 150th anniversary of the firing on Fort Sumter. Thomm had the idea, worked as a producer, songwriter, singer, and musician with such well known guests as Marty Stuart, John Anderson, Mark Fain, Justin Moses, Chris Jones, Jon Weisberger, Fats Kaplin, Richard Dobson and many others. All songs are co-written by Thomm, that means all songs are new. 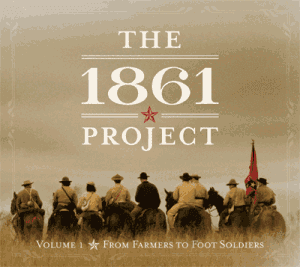 The album is entitled The 1861 project, Vol. 1: From farmers to foot soldiers; that means we can expect more albums over the next four years, because the project should last as long as the civil war did. This first album is simply great and introduces a great talent, Thomm Jutz, from Bühl, Germany, a singer, guitarist, piano player, songwriter, and producer, who by now is an American citizen. I was hoping you could steer me onto some good jam sessions and maybe regular bluegrass venues to hit while I am there. I couldn't stand to be away from my first music love for a whole month! Any tips/ideas would be very welcome. 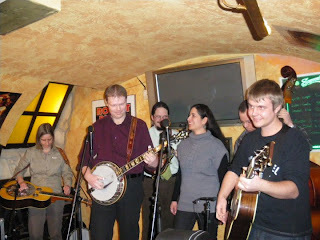 Of course, I would love to hear about any top-line local or touring bluegrass bands I could see while I am in London. We can't send Rob an e-mail reply, as e-mails sent to the EBB through the direct link don't retain the address of their origin; but we hope he's reading this. Ample help is at hand! 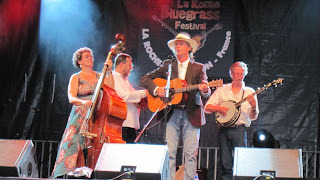 The indispensable source for all bluegrass and old-time activity in the London area and south-east England is the website of Rick Townend, especially its calendar page. 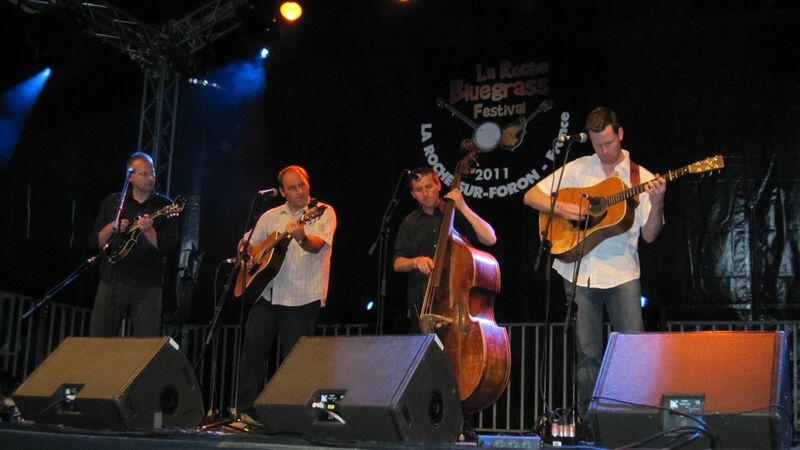 Rick (see photo) has been a mainstay of bluegrass in Britain since his schooldays in the Echo Mountain Boys. Check also the invaluable UKBluegrass.com for general bluegrass action in Britain, especially bands touring outside the south-east. Congratulations to the winners of the La Roche band contest! 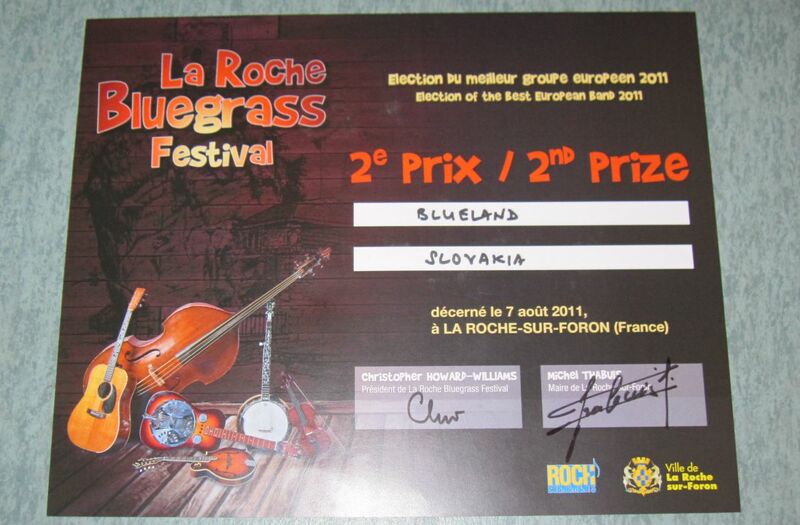 After 4 days of bluegrass music happening in the whole city of La Roche sur Foron, France, Blackjack (CZ) is the winner of this years' competition between 10 preselected European bands from all over Europe. Second was taken by Blueland (SK), and Lazy Tater (NL) ranked 3rd. More about the festival, and pictures in particular, will follow. 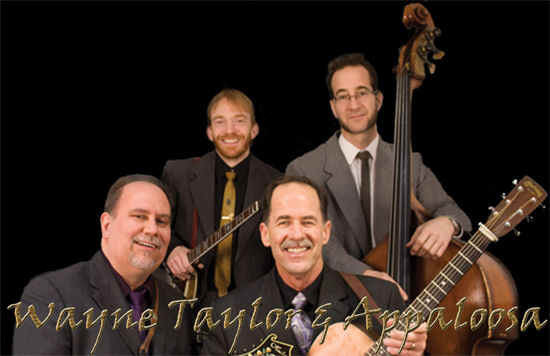 The Bluegrass Blog reported two days ago that Wayne Taylor (USA) is making a good recovery from surgery. The surgery was essential to remedy a ruptured colon: a serious and acute condition which prevented Taylor and his band Appaloosa from travelling to Britain for a tour that was scheduled to include an appearance as headline act at the Scottish Bluegrass Association's 25th Guildtown Bluegrass Music Festival (29 July-1 Aug.). 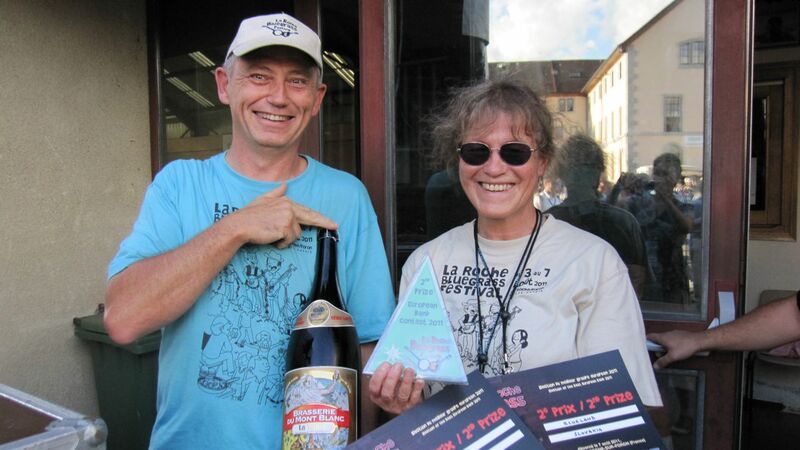 The SBA website reports that Wayne Taylor & Appaloosa have been invited to appear at next year's Guildtown festival, and that Monogram (CZ) and Lilly of the West (BG) have already been booked for Guildtown 2012. UKBluegrass.com reports today that the Dutch duo Heartstrings (Elly Beurskens, guitar; Bruno van Hoek, banjo, mandolin, dobro) will be playing in Britain in the latter half of August. Two dates in England are already scheduled, and they invite contacts for more opportunities to perform or give workshops. 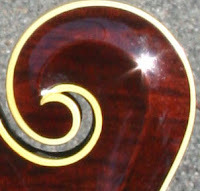 Heartstrings are regular visitors to Britain, and have a band page on the UKBluegrass.com website. 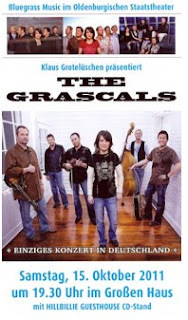 Thanks to Walter Fuchs for the news that in its 'Bluegrass Series' the Oldenburgisches Staatstheater will present the multi-award-winning Grascals (USA) exclusively in Germany on Saturday 15 October 2011, at 7.30 p.m. Ticket reservation: +49-441-2225-111. 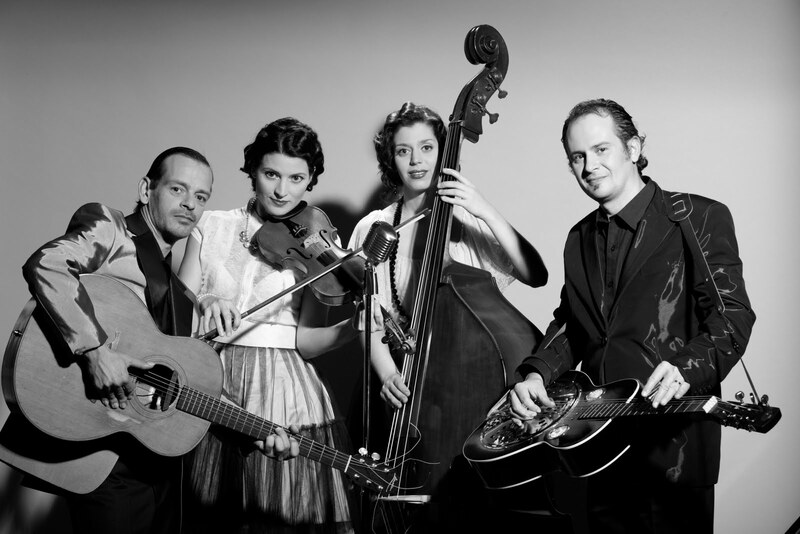 The Grascals have won six IBMA awards (two Entertainer of the Year and four Instrumental Group of the Year), three #1 albums, and two Grammy nominations. For some time they were Dolly Parton’s touring band. 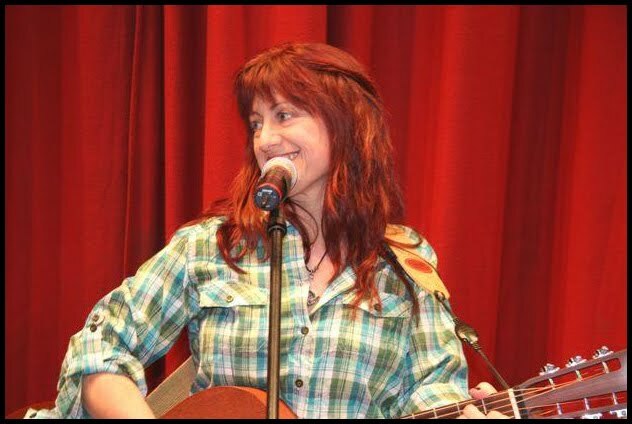 Their line-up in Oldenburg will be: Kristin Scott Benson (banjo), Terry Eldredge (guitar, vocals), Jamie Johnson (guitar, vocals), Danny Roberts (mandolin), Terry Smith (double bass, vocals), Jeremy Abshire (fiddle). The Grosse Haus (main auditorium) at the Staatstheater in Oldenburg, which has previously presented the Claire Lynch Band and the Gibson Brothers. Niall Toner reports from Ireland that in September RTE, the Irish national broadcasting station, will be broadcasting a special show in his Roots Freeway series, in conjunction with the BBC, from the 20th Annual Bluegrass Festival in the Ulster American Folk Park (UAFP), Omagh, Co. Tyrone, Northern Ireland. The RTE and BBC will set up a studio in the Park throughout Saturday 3 September, where they hope to interview Dailey & Vincent (USA), the Malpass Brothers (USA), Red Wine (I), Sunny Side (CZ), and many more. 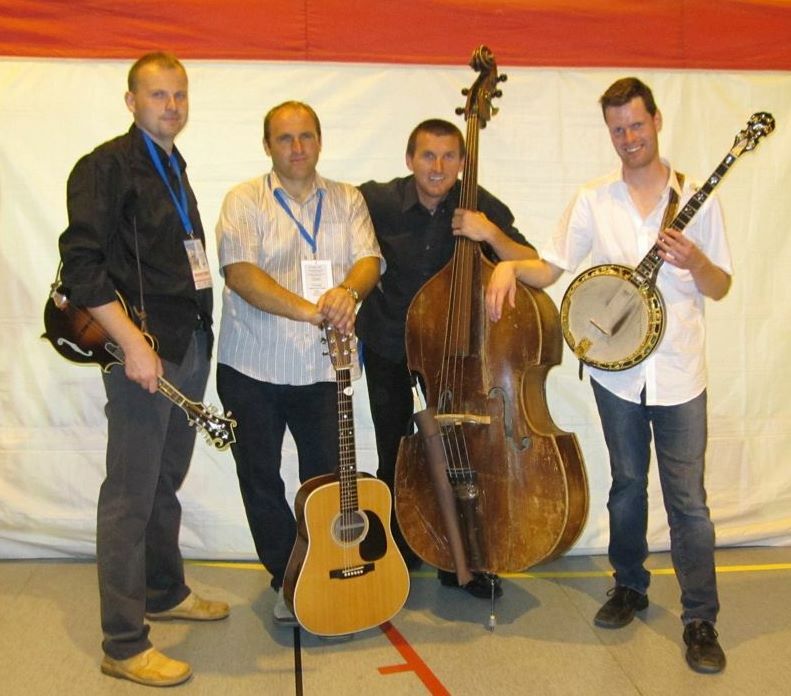 The Niall Toner Band will be performing on the main stage at UAFP on Friday night, 2 September, and also in the Park on Saturday and Sunday afternoons. Niall Toner will also be presenting two live bluegrass shows in the Roots Freeway Series from the Renaissance Hotel in Nashville, TN, during the 2011 World Of Bluegrass Conference. Niall is showcasing at WOB with his American band as part of the Mountain Music Entertainment 1814 hospitality suite, before touring through Tennessee and North Carolina. Fresh off his latest Grammy nomination for the Peter Rowan Bluegrass Band's Legacy, Peter reunites with his old friends Druha Trava for a series of five dates in the Czech Republic as part of the 20th anniversary celebrations for the notable Czech bluegrass band. 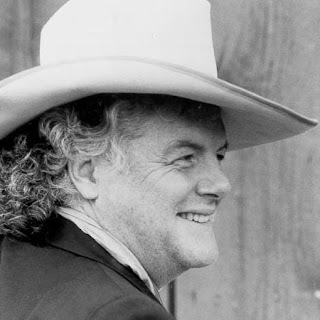 Directly after the Czech tour, Peter Rowan will be taking part with the Peter Rowan Bluegrass Band in the Johnny Keenan Banjo Festival in Longford, Ireland (22-25 Sept. 2011). 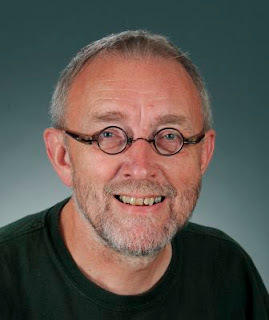 The Grammy-Award-winning artist Tim O'Brien (USA) will be playing several dates in Europe later this month, including the Tønder Festival in Denmark (25-28 Aug.). According to his website schedule, the tour will begin with seven dates in Ireland; details are on the Bluegrass Ireland Blog. During the tour he will be accompanied by 'The Crossing', a group of outstanding traditional musicians: Mike McGoldrick (flute, uilleann pipes, whistles), Arty McGlynn (guitars), John McCusker (fiddle, whistles), John Jo Kelly (bodhrán), and Heidi Talbot (vocals), with Tim on fiddle, mandolin, guitar, and vocals. Rhonda Vincent & the Rage are travelling abroad, leaving behind their Martha White Bluegrass Express for trains, planes, and automobiles. 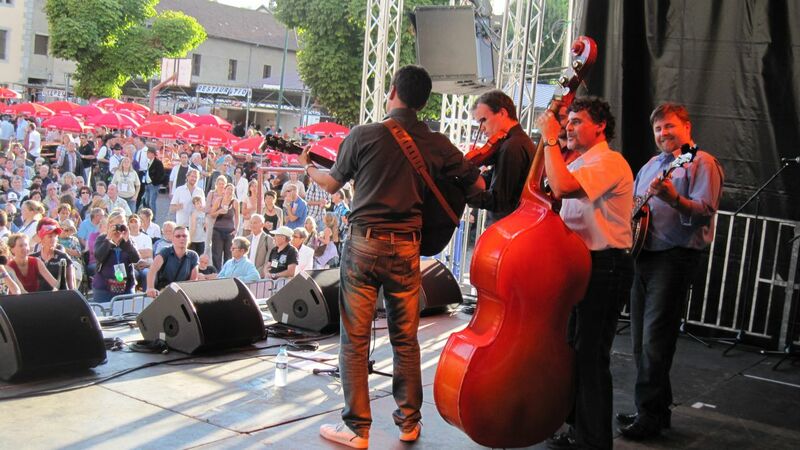 The international bluegrass star and All American Bluegrass Girl, Rhonda Vincent, with her band the Rage, set a personal European record with two consecutive SOLD OUT SHOWS in Laufen, Switzerland, on 27 and 28 July 2011. 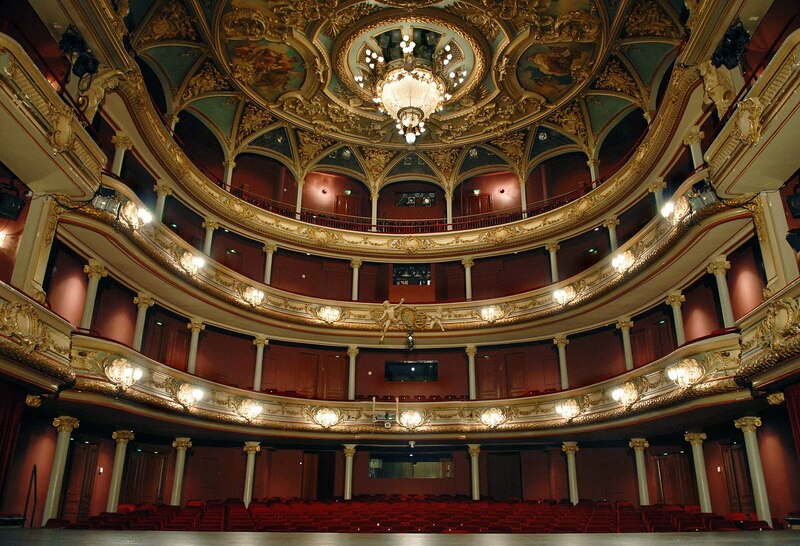 The Swiss venue was purchased and renovated by the family who owns the famous Swiss cough drops, Ricola. The venue houses a music school, with the intended purpose of educating and featuring musical artists. 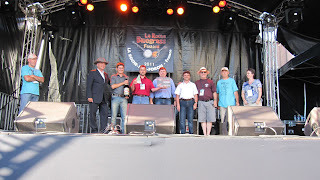 In addition to the Swiss performances, they appeared on Saturday 30 July 2011 in Craponne, France, as the headlining artist of the Craponne Country Music Festival - Festival Country Rendez-Vous de Craponne sur Arzon. Fans of Rhonda Vincent & the Rage traveled many miles to enjoy their style of acoustic music: from neighboring countries such as Holland, Norway, England, Ireland, Belgium, Switzerland, Germany, France, Italy, Spain, and even a couple from the USA travelled halfway around the world to hear their favourite group in both European settings. After their performances in Laufen, Switzerland, and Craponne, France, Rhonda Vincent & the Rage traveled to Paris, France, to visit the Eiffel Tower, the Louvre with the 'Mona Lisa' being a highlight not to miss. They will remain in Paris until their return to the US later in the week. Other areas visited on their tour include Africa, Sicily, Italy, Spain, and Malta.